Couple is a pair of two people who are made for each other and the couple tattoos symbolizes their commitment and love for each other. There are plenty of trends revolving around world such as exchanging rings, lockets which are been followed by couples but couples tattoo is something lasts for lifetime if done with permanent ink. 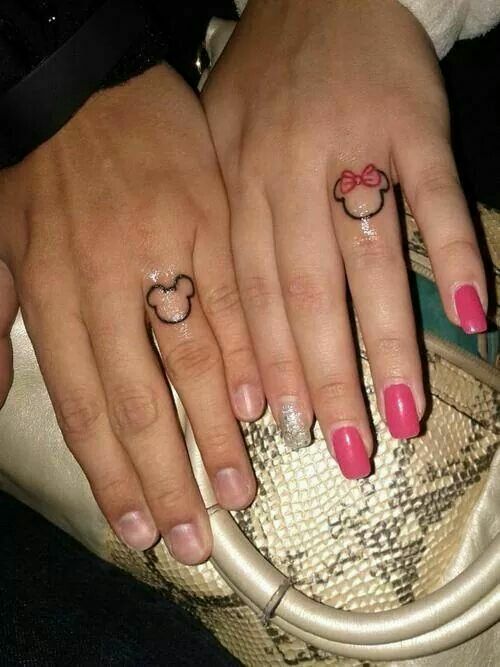 Couple finger tattoos are becoming widespread day by day and accepted by in the society. 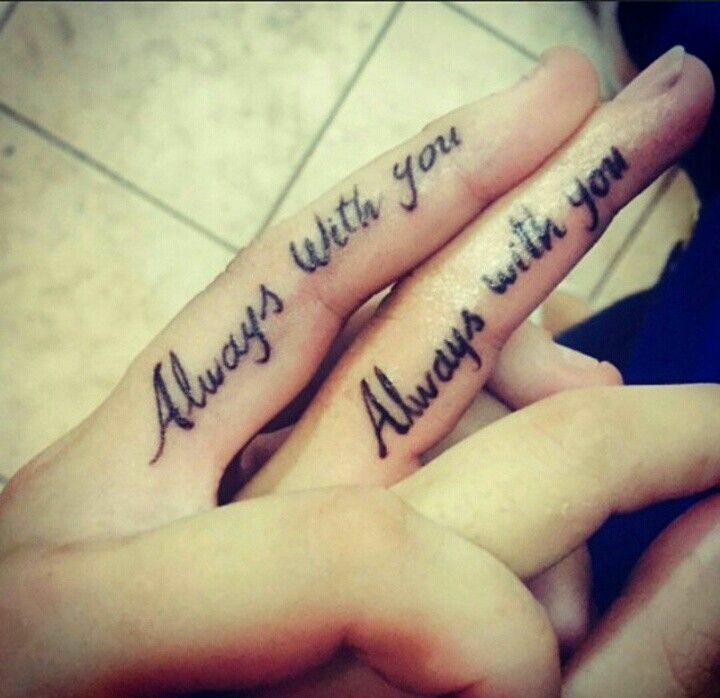 Couple finger tattoos represents the importance of your lover in your life. 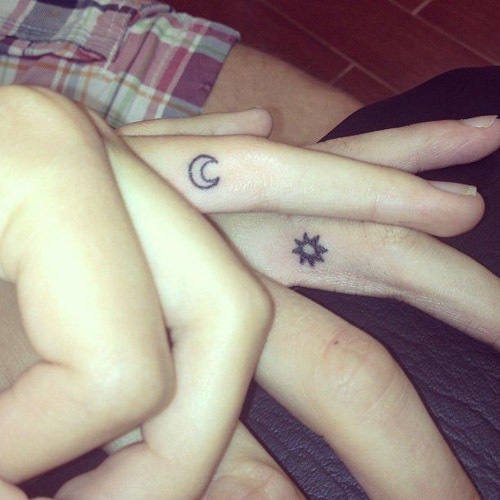 These cute finger tattoos holds a lot of significance and they are actually really endearing and adorable when holding hands in public and showing off their tattoos which embodies an everlasting love and sincerity to the other person. Having said that, the alternative wedding tattoo are not only cheaper, you don’t have to worry about losing them. Being in a relationship you feel so special that you want to keep the other person alive in yourself because you’re fervently in love with that person. So the modern couples get matching couple tattoos to flaunt their passionate love. 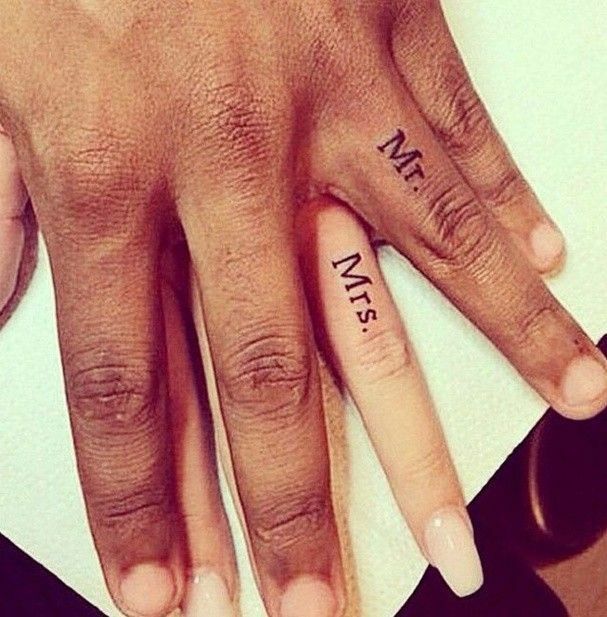 Mostly couples prefer to have identical tattoos on their wedding fingers which are aesthetically appealing and show their love and relationship. These matching tattoos jog your memory about the bond you share with your loved one or you can say constant reminder of the other person who can bear you. In order, to show your love one don’t need to get something massive even the small things with deep meaning also counts. Couples can have tattoos of small things they love together like if they both love a bird they both can have identical tattoo of that bird on the same finger because it is something you both love. Furthermore, as a group effort whether one person or two people choose couples tattoos, approach them. If you end up having a falling out together, at least one good thing happens. Both of you at least take this home: you made a profound difference in each other’s lives, which can be a source of reunite. 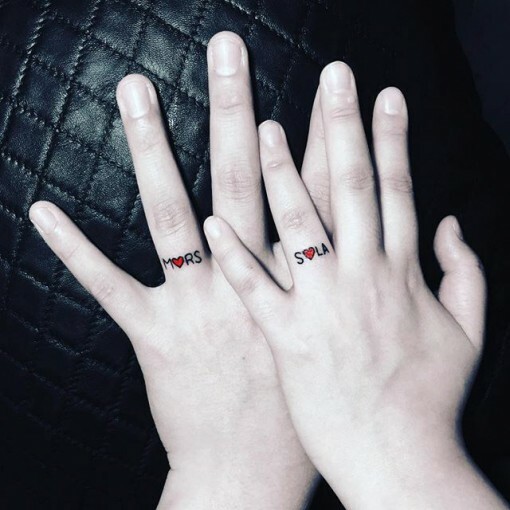 The couple finger tattoos are been opt by modern love partners either as a wedding ring on ring finger or sides of the finger, on knuckles, or at the inner side of the fingers as discreet numbers, symbols or secretive language. 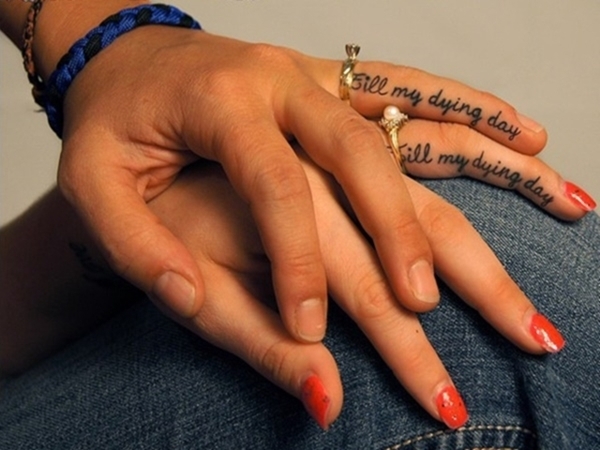 The correct placement of the tattoo emphasizes the beauty of your fingers. Tattoo on finger is like dealing with plenty of uneven surfaces thereby fingers are the most challenging areas to get tattooed and for that you require an experienced and highly skilled artist to execute it properly. Tattooing on fingers and then maintaining them is not always easy but make sure to take necessary precautions before getting them. 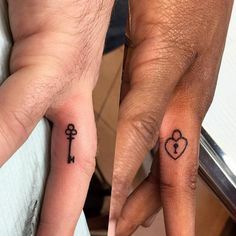 The lock that is inked on the finger of the guy and key on the finger of girl representing that key can unlock the love of his man. To infinity and beyond, it may be a plain tattoo but knowing the deeper meaning behind it makes it popular. Anchor is an ancient symbol which is Tattoo for hope, honor and loyalty. This date tattoo determines a particular date or occasion couple wish to mark. Couple tattoos are not always supposed to look alike but the deep meaning behind them connect them. Ship wheel and anchor symbol shows that a couples will always find their way back to each other no matter what. Half heart on one’s finger the other part of it on others and when these half hearts combines the heart completes similarly this tattoo on couple’s fingers represent that when they both are together they complete each other. 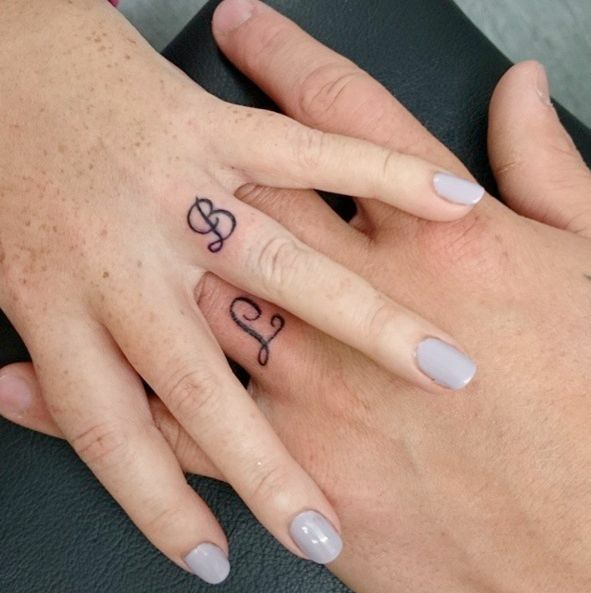 This couple finger hook tattoo will never go out of style and shows that we are ‘together forever’. Sun and moon can never meet but are ideal symbols because they both are opposite to each other and opposites really do attract! 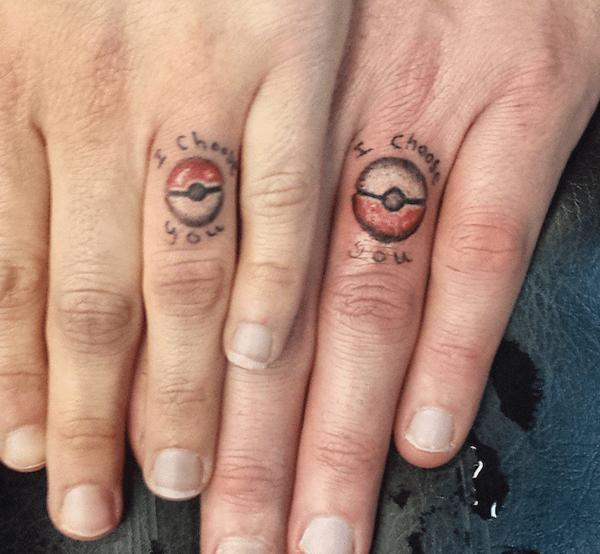 With a sense of humor this couple finger tattoo shows fun side of a relationship. 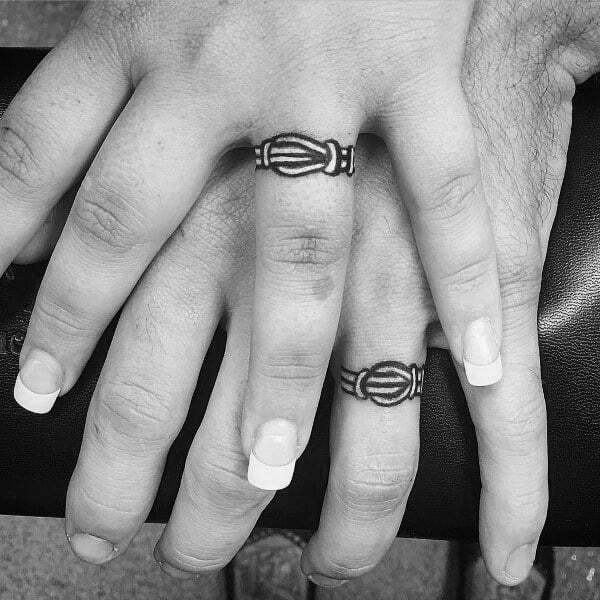 This couple finger tattoo splits into two and is not complete unless two of the lovers are together.